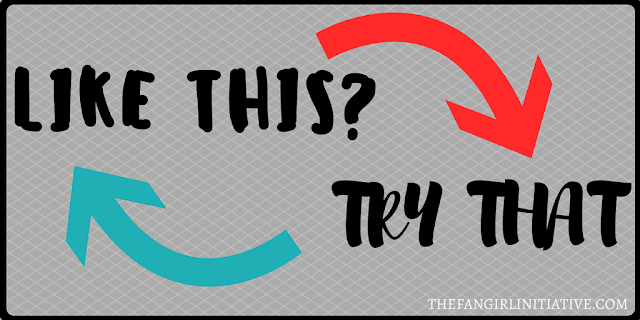 Madeleine L'Engle said that "You have to write the book that wants to be written. And if the book will be too difficult for grown-ups, then you write it for children." Sometimes people think that children's book are only interesting to children, but I believe that a good children's book can be enjoyed by any age. So if you're in the mood for a decent children's story but you've read all the well-known or more popular titles, here are a few other books to try. 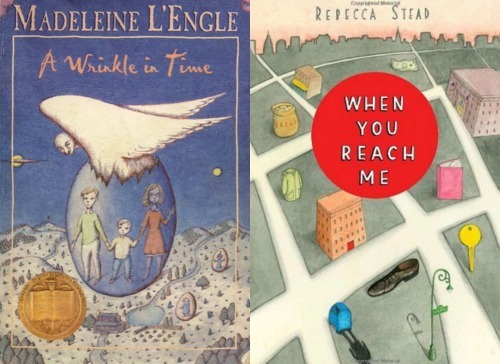 A Wrinkle in Time by Madeleine L'Engle is known for its weird introduction to the genre of science-fiction, involving quirky characters, strange new worlds, and all types of interesting concepts and ideas. I've been told When You Reach Me by Rebecca Stead has similar aspects, including time-travel. Both stories are about ordinary children who end up doing something extraordinary while on a crazy adventure. Sounds like my type of story! 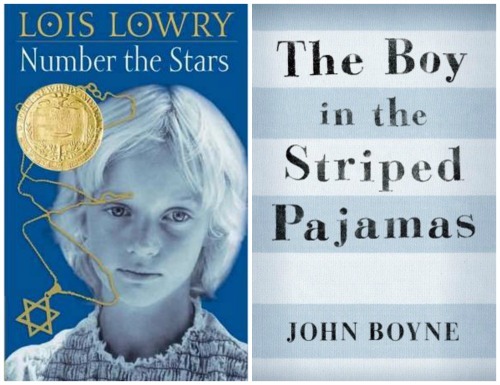 If you're looking for something historical and set during the Holocaust, both Number the Stars by Lois Lowry and The Boy in the Striped Pajamas by John Boyne are good choices. Both of these historical fiction stories follow different sides of the Holocaust and leave you with different feelings. If you read one, you will probably enjoy the other, and maybe reading both can help you understand more than one side of history. My favorite children's books are the kind that treat children like they are intelligent people. A Series of Unfortunate Events by Lemony Snicket does this. So does The Mysterious Benedict Society by Trenton Lee Stewart. Both stories involve mysterious circumstances, a devious villain, and plenty of puns and plays on words. 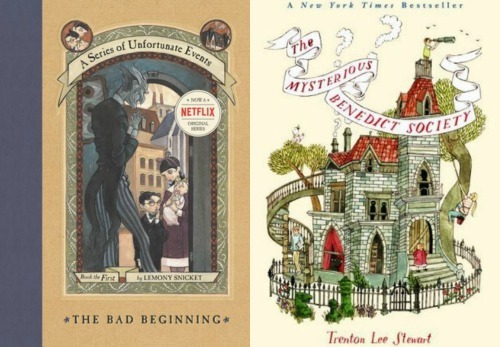 If you like the cleverness of A Series of Unfortunate Events and the way the story centers around intelligent children, try The Mysterious Benedict Society. I think you'll be delighted by what you find. 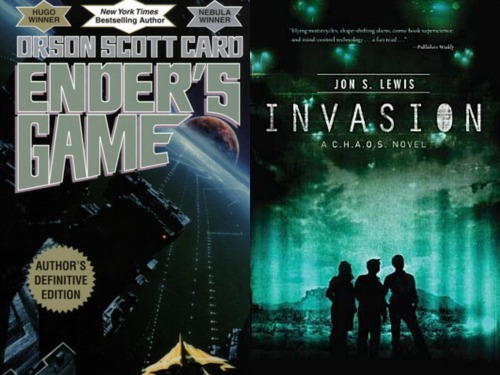 If you're looking for a story that involves aliens, gateways, and a lot of cool science-fiction technology, read Ender's Game by Orson Scott Card. Or Invasion by Jon S. Lewis. Both stories center around a boy who is introduced to other worlds through government programs and training. Swap virtual games with flying motorcycles and jetpacks, and the best parts of Ender's Game will shine through in Invasion as well. 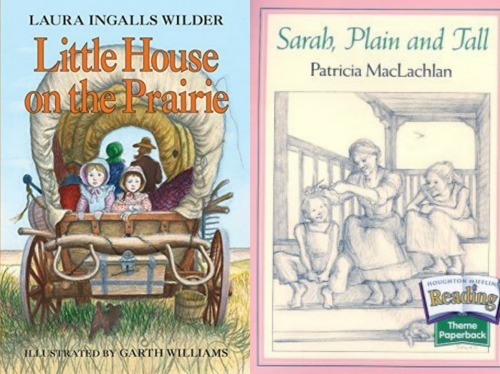 If you enjoyed reading the Little House books by Laura Ingalls Wilder and you're looking for more books about pioneers traveling west and living on homesteads, read Sarah, Plain and Tall by Patricia MacLachlan. Both stories are set during similar time periods and in similar places of the country and they both include stories about school teachers. The stories a tad different with The Little House books focused on Laura's journey growing up, whereas Sarah, Plain and Tall focuses on learning to accept someone new and finding a family. Both, however, provide insight into another time period and another way of living, and that's something worth reading. If you're looking for good children's fantasy books, stay tuned for part two!